Model T Ford Forum: What kind of Carb is this? Model T Ford Forum: Forum 2014: What kind of Carb is this? 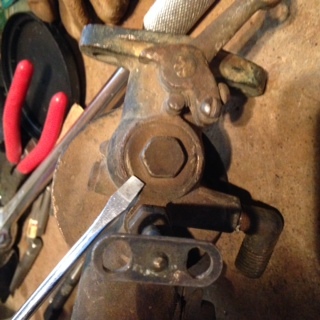 I am working on a carb to put on a 1918. 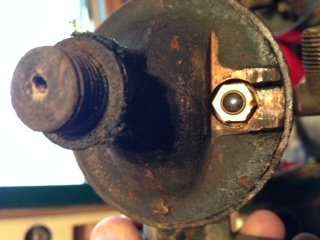 I pulled this one apart and first of all there was a nut on a threaded shaft for the bowl. Second the needle/ seat area has a round little ball, third there is a chamber I don't recognize. (at the tip of the screwdriver). I cannot find a brand plate on it, but it looks more like a holley. Is this some kind of hybrid? Assuming it came on a Model T Ford, it appears to be one of the Kingston style carbs. The look similar from 1915-17 Kingston L to the 1918 L2. See Lang's illustration at: https://www.modeltford.com/item/6200R-L.aspx that shows the earlier L style. On pages 425 & 426 of Bruce's (R.I.P.) book he has photos of several Kingsons that are similar. At your other posting on the same carburetor at: http://www.mtfca.com/discus/messages/411944/500146.html?1417994698 I believe Steven Thum is correct it is a Kingston L-2 (again assuming it came on a Ford originally). 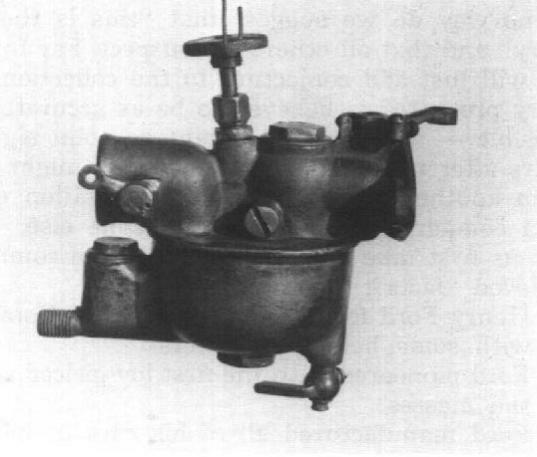 The L (also called L-1) used in 1915 is shown below and it has a very different inlet for the gasoline. Also the illustration in Lang�s appears to be an L2 and not just the L. Photo from page 27 of the Sep-Oct 1989 �Vintage Ford� used by permission to promote our hobby and club. That float valve could be a replacement Grose-Jet. Bad juju. Mike, should I go back to the original needle and seat in the carburetor? I found these ball type needles on the internet and they are a newer technology. Marv. The Grose-Jet or ball type inlet valve is known to get struck open or closed if the slightest bit of dirt gets into them. I would definitely replace it with a needle and seat if you can find one.